We were mighty disappointed when the Church Street faction of Smally’s Resto Cafe shut down. But call it a miracle or whatever, the Peri-Peri Burger, the Bucket of Fries (yup a kilo of fries served in a bucket), and the Red Velvet Cupcake Shake are now officially in Indirangar. The new branch of Smally’s is located in a rather crowded spot on 12th Main right next to Tata Cha and opposite Burma Burma. True to its name, the cafe is rather small with tables for two and a seating capacity of probably 20 at a time. 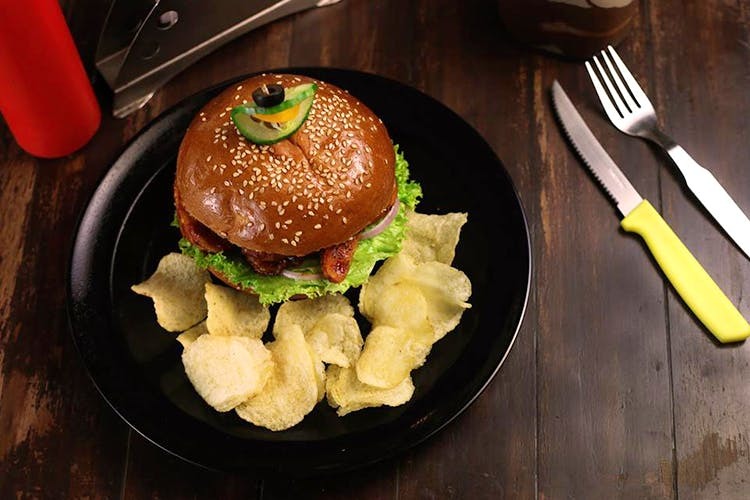 The menu is the same as their previous outlets with the extensive selection of sandwiches and burgers and not to mention their dessert shakes.